Despite its small size, the Island and Royal Manor of Portland has an extensive and captivating history, while also being of great geological and geographical interest. From its strategic position and important military past, with one of the world's largest man-made harbours, its worldwide renowned Portland stone, to the unique landscape it possesses, Portland is both engaging and intriguing. Portland is a limestone tied island, 4 miles long by 1.7 miles wide, jutting out into the English Channel. It is connected to the mainland by Chesil Beach, with the A354 road running alongside it being the only route on-and-off the island. 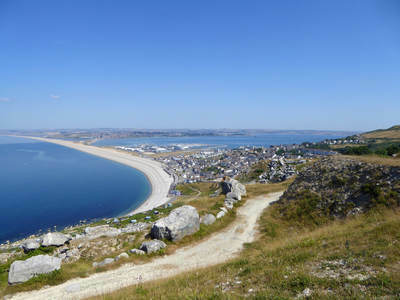 In stark contrast to the rest of the county of Dorset, writer Thomas Hardy described Portland as "the peninsular carved by Time out of a single stone". 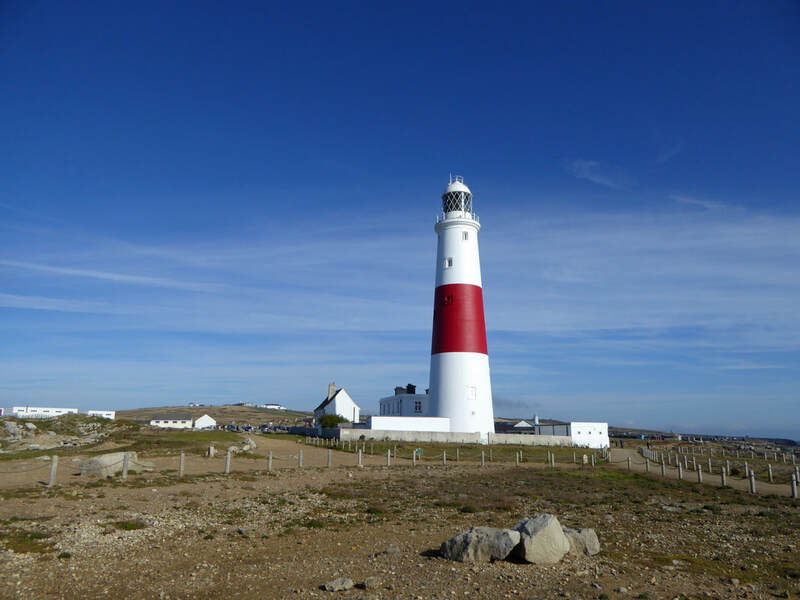 As a central part of the Jurassic Coast, documenting 180 million years of geological history, and displaying important geology and landforms, Portland is included in the World Heritage Site of the Dorset and east Devon coast. Portland has displayed archaeological evidence of being inhabited since at least the Mesolithic period. 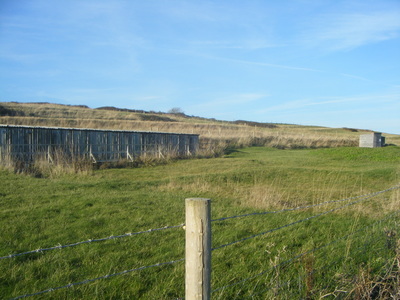 The Culverwell Mesolithic Site, near Portland Bill, is a prime example from that period and dates back 8,000-8,500 years. Evidence suggests Verne Hill was originally an iron age hill fort and later part of a Roman defence work. The Romans reputedly called the island Vindelis, and various burial sites and stone sarcophagi dating from that period have been found all across the island. 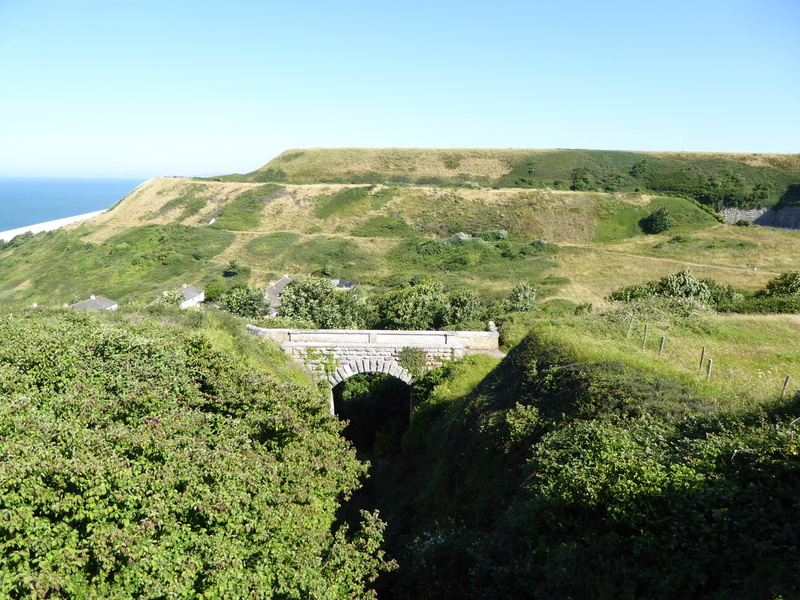 The Saxon Charter of King Ethelred was the first to refer to Portland as Portelond and it was the Saxons who established the first church, St Andrew's at Church Ope Cove, as well as various defensive works. Many of Portland's settlements were established during the period of Roman or early medieval occupation. The island is split into two distinct areas, Underhill and Tophill. 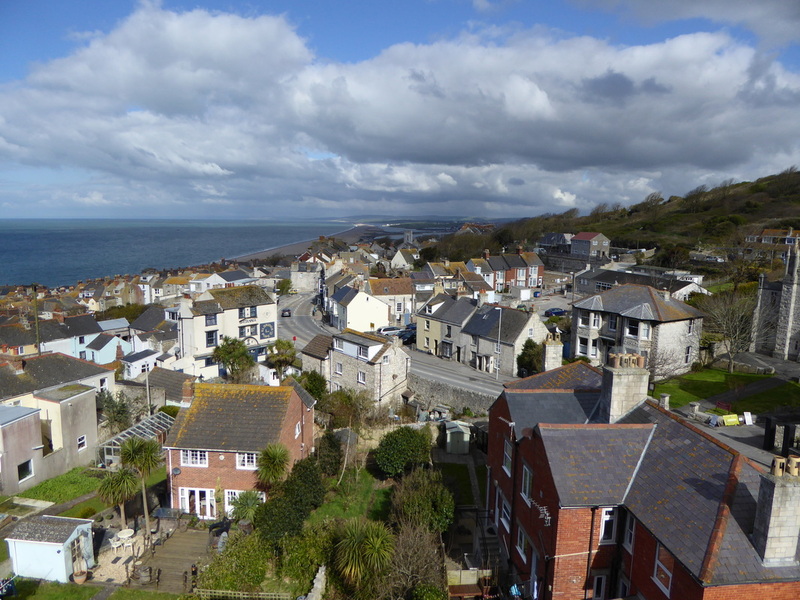 Underhill occupies the steep land at the northern end of the island, and contains the villages of Chiswell, Fortuneswell and Castletown. Tophill covers the rest of the island, with the villages of Easton, Weston, Southwell and the Grove, as well as Portland Bill. All of Portland's villages, except Southwell, have been designated as Conservation Areas to preserve their unique character. 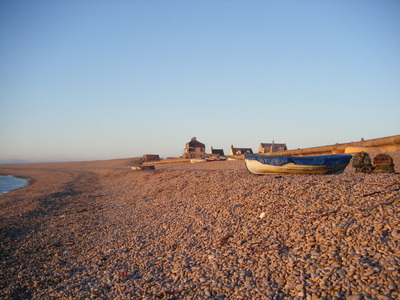 Chiswell is the island's oldest settlement and was traditionally a fishing village. 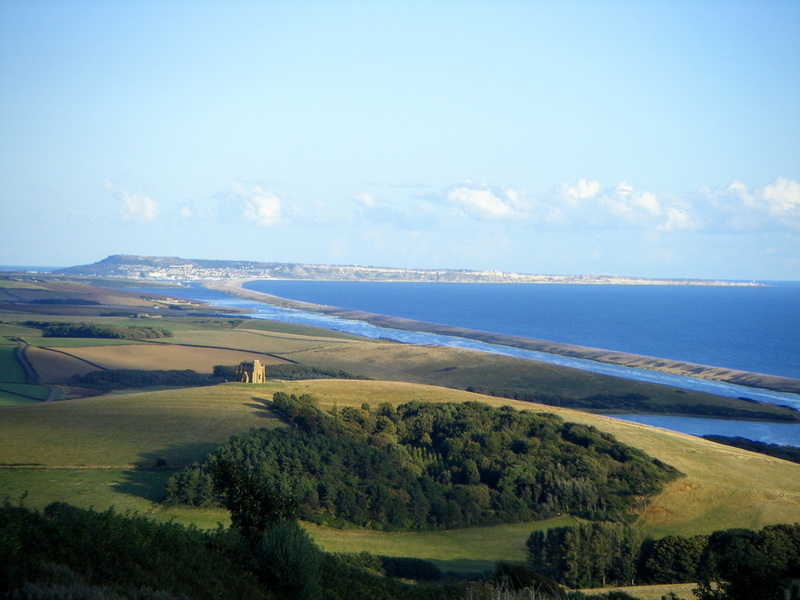 Situated alongside the pebble bank of Chesil Cove, it was vulnerable to flooding for many centuries and suffered extensively from the destructive Great Storm of 1824. Coastal defence measures began with the construction of a sea wall in 1958-65 and additional measures were added during the 1980s, including the installation of a gabion wall and a culvert to drain any overflowing water from Chesil Beach into Portland Harbour. Fortuneswell, occupying the higher ground of Underhill, is the main hub of activity in this region of Portland. 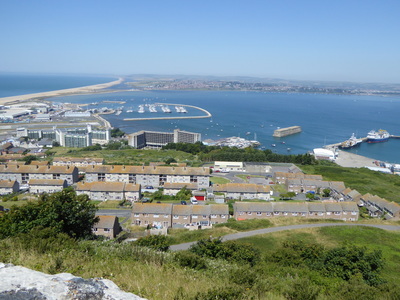 The mid-19th century development of Portland Harbour and its military use saw the village transformed into an urbanised area, with many new houses being built and businesses established. The parish church for Underhill, St John's, was built there in 1838-40. 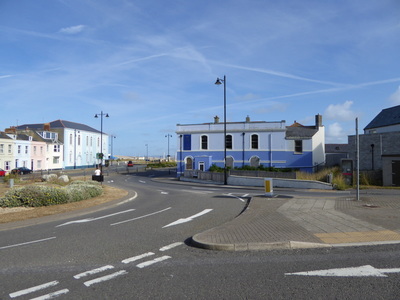 Castletown was another traditional fishing settlement, but was also transformed into a thriving commercial area with the arrival of the navy. In Tophill, Easton remains the hub of activity and incorporates the hamlet of Wakeham, along with the settlements of Reforne and Straits. Reforne is home to Portland's second parish church, St George's, built between 1754-66, which itself was later replaced by All Saints, built at Straits between 1914-17. 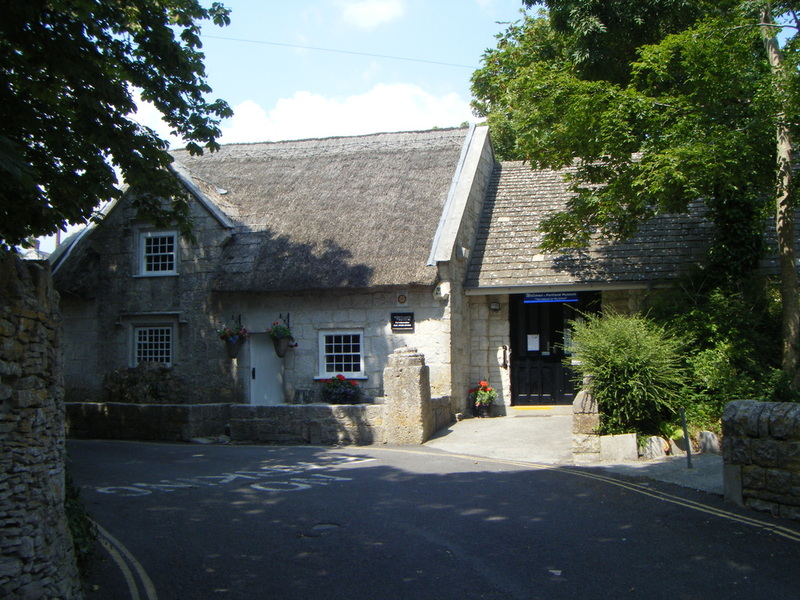 The hamlet of Wakeham has a distinctively wide road, while many of its 17th and 18th century cottages survive – a couple of which make up Portland Museum, which was opened in 1932 by founder Dr. Marie Stopes. The original settlement of Wakeham was located near Church Ope Cove, where Pennsylvania Castle is now located – a Gothic revival mansion, built in 1797-1800 by James Wyatt for John Penn, Governor of Portland and grandson of William Penn, the founder of Pennsylvania. Both Weston and Southwell villages were traditionally farming communities, however the mid-to-late 20th century has seen much open space developed with housing estates. The Avalanche Memorial Church, located at Southwell, was built in 1878-79 to serve these two villages. Portland's youngest village, the Grove, developed with the establishment of HM Prison Portland in 1848. 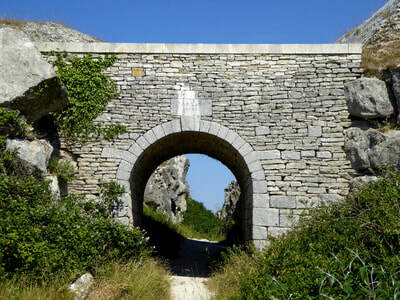 The village is characterised by the high walls running along its main road, which once enclosed part of the extensive convict-operated Admiralty Quarries, as well as the prison itself. 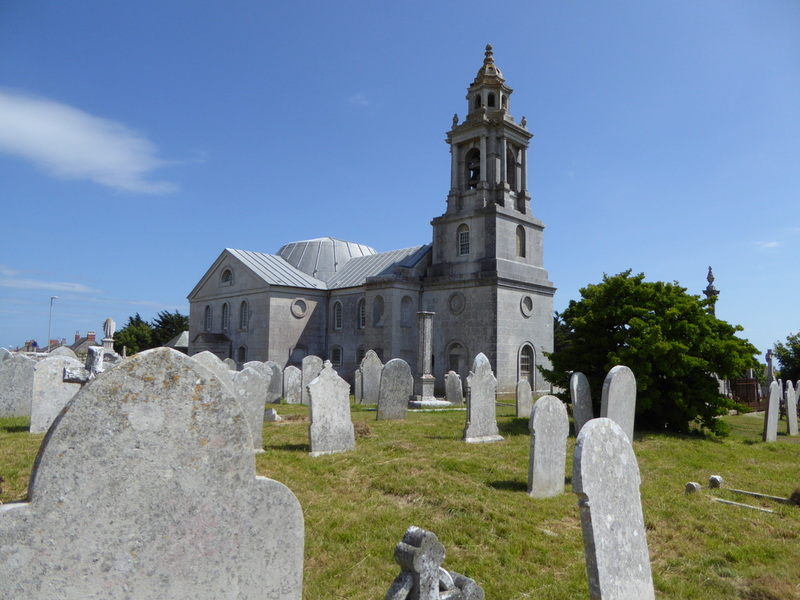 St. Peter's Church was built in the village between 1870-72 by convicts, and was used by residents of the Grove, prison staff and soldiers stationed at the Verne Citadel. Portland has been a Royal Manor since Saxon times. The Court Leet were the traditional authority in charge of the island's rights, dues, practices and customs. While maintaining control and management of common land, the Court's Reeve acted as a rent collector for the various villages. Local residents could also pay a Quit Rent, exempting them from military service. Portland's Court Leet is still in existence today, although their original powers have largely been removed since the 1925 Law of Property Act. 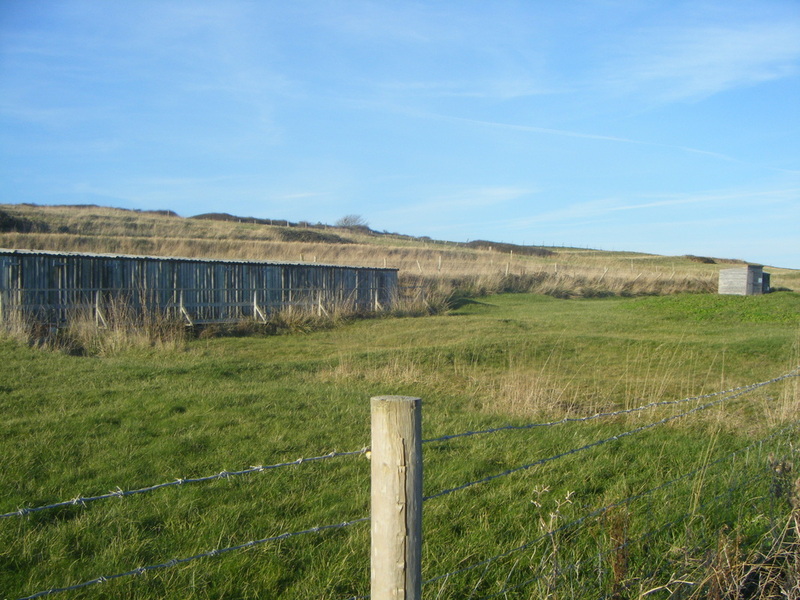 Their main function is now to work closely with the Crown Estate and local population in the management of Portland's common land. Portland's traditional industries were farming, fishing and quarrying. A strip field system was used as the island's traditional agricultural method as far back as Saxon times. 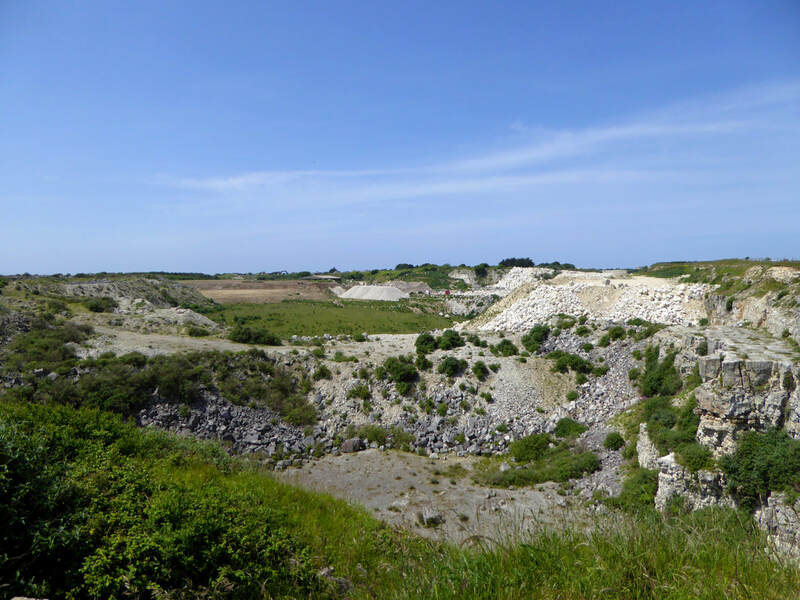 Once common throughout Dorset, both modern development and quarrying on Portland has resulted in the destruction of many of these fields, although some survive today, most notably those between Portland Bill and Southwell. 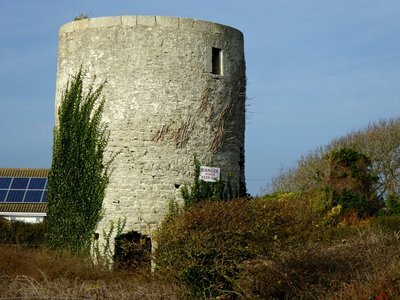 Between Weston and Easton are two surviving stone tower windmills, which date as far back as the 17th century and possibly earlier. They operated until the late 1890s and now stand as a reminder of Portland’s past agricultural activity. Meanwhile, it was the local fishing industry which resulted in the development of a purpose-built vessel known as a Lerret, which was designed to combat the difficult conditions of Chesil Cove and Lyme Bay. Portland's extensive military history stems from its important strategic position and the 19th century creation of a harbour of refuge. From Roman times, the naturally sheltered anchorage of Portland Roads was valued for the protection it provided. Portland also has the distinction of being the location of the first recorded Viking attack within the British Isles, which occurred in 789 AD and possibly at Church Ope Cove. Above the cove, the 15th century Rufus Castle survives with earlier origins and is now a scheduled monument. Portland Castle, built in 1539-41 for King Henry VIII, was strategically placed with its Weymouth-side sister Sandsfoot Castle, to defend Portland Roads against foreign attackers. The castle would play its role in the English Civil War 1642-1649, where it experienced its only real military action. As a Royal Manor, Portland supported King Charles and was a Royalist stronghold for most of the war. Today the castle remains one of the best preserved from the Device Fort period and is open to the public by English Heritage. 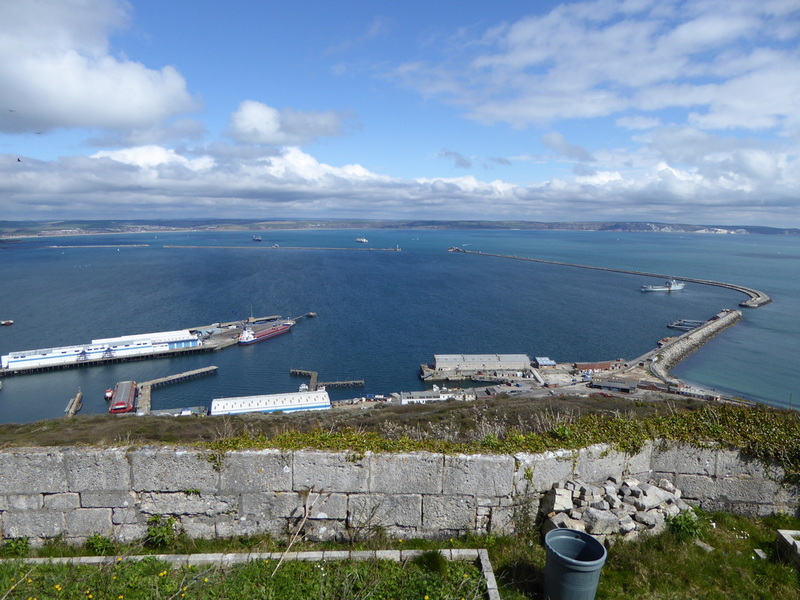 Having hosted naval ships for centuries, the Royal Navy established a station at Portland Harbour from the mid-19th century. 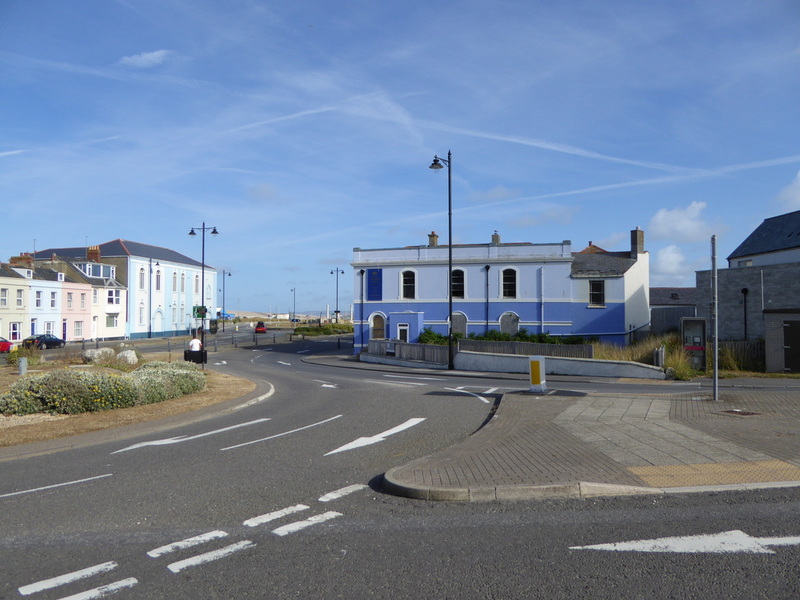 Between 1849-72, Portland Roads was transformed into a harbour of refuge with the building of two breakwater arms. The commissioning of the scheme had been prompted by the fears of a French invasion, the development of Cherbourg Harbour and concerns over the security of the English Channel. Furthermore, Portland was provided with vital coaling facilities for the fleet of steam-powered warships. The Portland Convict Establishment was opened at the Grove in 1848 and it was convict labour which provided around six million tons of stone for the construction of the breakwaters, much of which was sent down the Admiralty Incline Railway. Construction of the harbour's two northern arms followed in 1896-1905 as a defensive measures again torpedo attack. Portland's prison, originally scheduled to be temporary, later became a permanent institution and was converted into a Borstal in 1921, a Youth Custody Centre in 1983 and a Young Offenders Institution in 1988. It is now a mixed Adult/Young Offenders institution. During the Victorian and Edwardian eras, many coastal defences were constructed to protect Portland Harbour. The Verne Citadel, built between 1857-81, was Portland's chief defensive point at the top of Verne Hill. The southern region of this 56-acre fortress was later converted into HM Prison The Verne in 1949, which continues to operate to date. 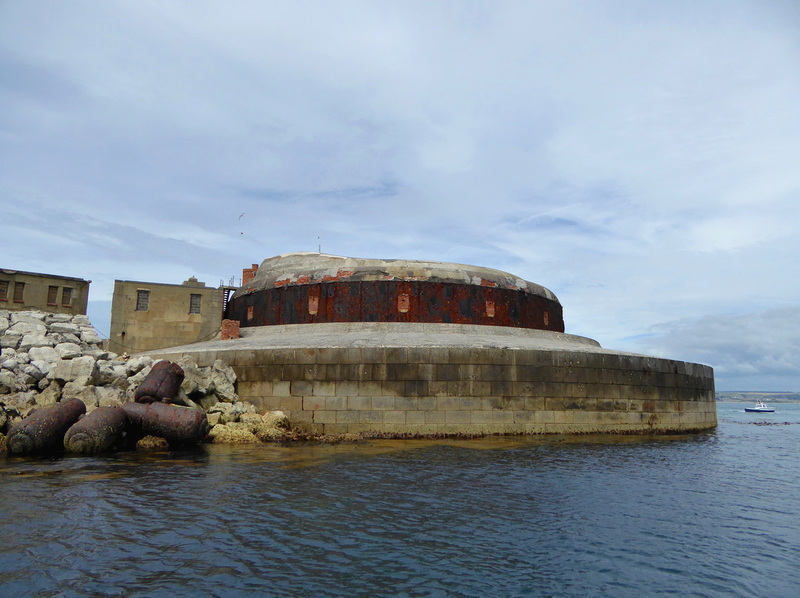 Below the Verne, on the eastern side of the island, the East Weare Batteries were also built to guard the harbour, along with the Breakwater Fort on the outer breakwater, the Inner Pierhead Fort on the inner breakwater and the Nothe Fort on the Weymouth side of the harbour. 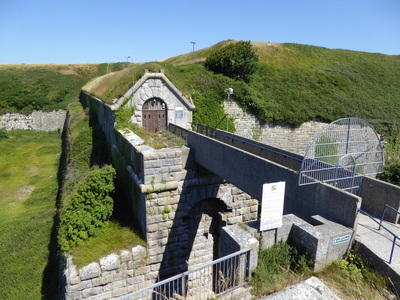 Later additions around the turn of the century included the Verne High Angle Battery, Blacknor Fort, Upton Fort and the three Pierhead Batteries. The location of classified Admiralty research, Portland played an important and lengthy role in the development of anti-submarine detection and underwater weapons. Anti-submarine training and trial work first began in the local area in 1917 and this early period of research was followed by the establishment of the anti-submarine establishment HMS Osprey in 1924. 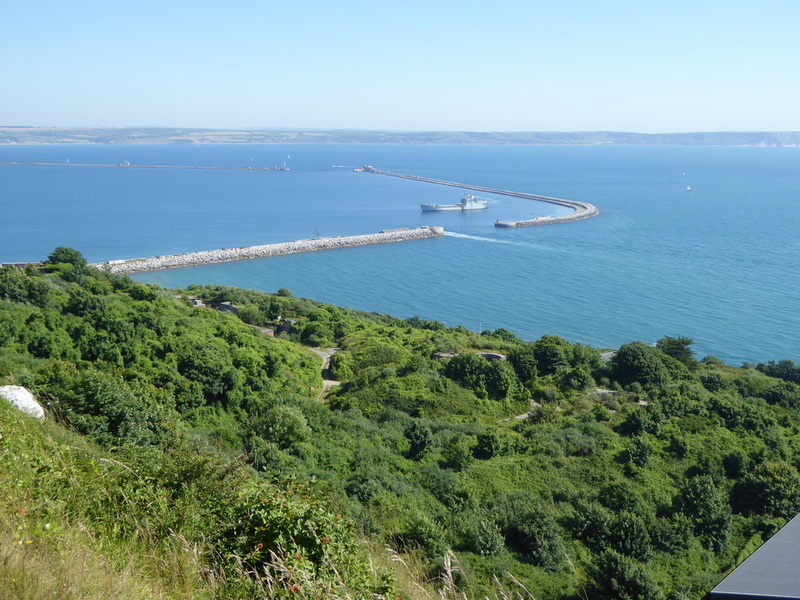 Following World War II, HM Underwater Detection Establishment and the Admiralty Gunnery Establishment were based at Portland and both went on to form the two key sites of the Admiralty Underwater Weapons Establishment from 1960. RNAS Portland was commissioned in 1959 and became one of the navy's primary air stations, using helicopters for research and development in anti-submarine techniques and training. Torpedo trials, development and manufacturing was also prevalent at Portland Harbour and Weymouth Bay. Robert Whitehead established a Torpedo Works at Wyke Regis in 1891, on the northern shore of Portland Harbour, which was accompanied by frequent torpedo testing and practice firing. A Torpedo Depot at Portland was relocated to Bincleaves, Weymouth, in 1920, and this same region of the harbour contained further torpedo ranges for trial and development work. Portland and its harbour officially received the title HM Naval Base Portland in 1923. The base played prominent roles during both World Wars, as well as the Cold War. During World War II, Portland was the target of heavy bombing, with 48 air raids dropping a total of 532 bombs over the course of the war. 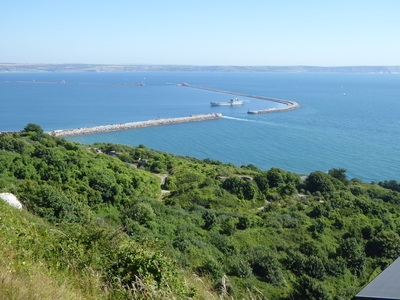 In 1944, both Portland and Weymouth Harbours were commissioned as USNAAB Portland-Weymouth, for use a major embarkation point for Allied forces on D-Day. Precisely 418,585 troops and 144,093 vehicles passed through Portland. Today, the Portland Cenotaph stands at New Ground as a memorial to the local men who died during both world wars. From 1958, Portland was home to Flag Officer Sea Training, which was responsible for ensuring all Royal Navy and Royal Fleet Auxiliary vessels were fit to join the operational fleet by testing the crew's readiness through a series of drills and exercises. NATO ships would also undergo training at Portland, which remained the world's premier naval work-up base until the end of the Cold War. Defence budget cuts then led to the closure of Portland's naval base and the two major research establishments in the area in 1995-96. 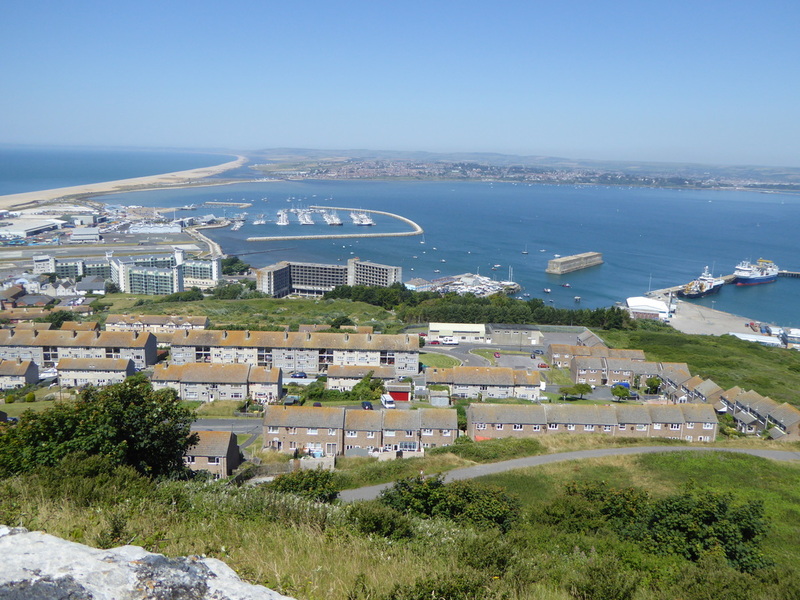 In 1996, Portland Port Ltd became the new owners of the harbour and began its transformation into a commercial port, which sees a number of cruise ship calls each year, bringing visitors to the Dorset area. Meanwhile, the closure of RNAS Portland in 1999 allowed the western region of the harbour to be transformed for sailing, watersport use and marine industry-related employment. Both Weymouth and Portland National Sailing Academy and Portland Marina are located there, and these two sites hosted the sailing events of the 2012 Olympic Games. 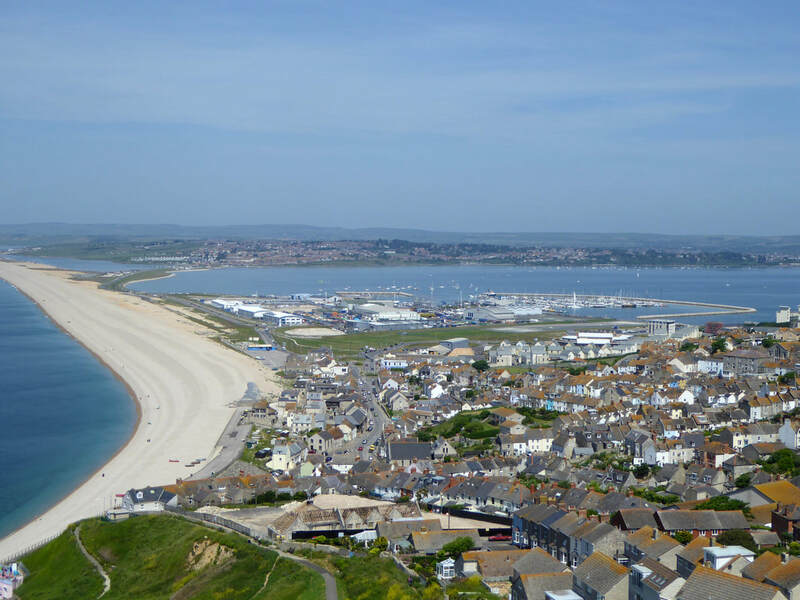 The Royal Yachting Association considers Weymouth and Portland's waters as the best in Northern Europe, and as such the academy regularly hosts local, national and international sailing events. Portland's high-quality and world-famous building stone has had a massive impact on the island. The highly prized building material has been quarried since Roman times and was being shipped to London from the 14th century. A number of well-known buildings in the capital, including St Paul's Cathedral and the eastern front of Buckingham Palace use Portland stone, as have other buildings worldwide, including the United Nations Headquarters. During the 17th century, Inigo Jones, the chief architect and Surveyor-General to James I, surveyed Portland and used its stone in his Banqueting House, Whitehall, and for repairs on St Paul's Cathedral. However, the industry was forever changed when Jones' successor, Sir Christopher Wren, the architect and Member of Parliament for nearby Weymouth, used six million tons to rebuild London after the Great Fire of 1666. To meet this sudden increase in demand for Portland stone, many shipping piers were erected and such historic sites as Durdle, Folly and King's Piers remain today. The wharfs and pier of Castletown were the traditionally favoured shipping facilities on the island. Portland stone was traditionally quarried from clifftop sites, but the industry began moving inland in the 19th century. As the need for a better transport link between the quarries at Tophill and the shipping facilities at Castletown grew, the Merchant's Railway was opened in 1826. Using horses and cable operated inclines, the railway ran two miles from Priory Corner to Castletown and remained in operation until 1939. Today the line is a popular footpath. During the First World War, stone was provided for the Cenotaph in Whitehall and half a million gravestones for war cemeteries, as well as hundreds of thousands of gravestones were hewn for soldiers who had fallen on the Western Front during the Second World War. There has been continual demand for the stone to date and some of the active quarries on the island include Bower, Inmosthay, Independent, Coombefield and Perryfield. 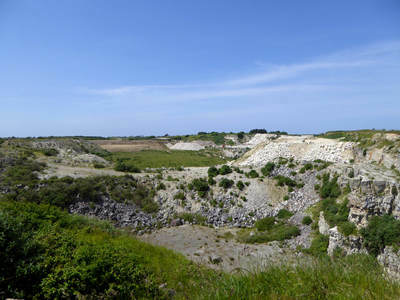 Both Bower and Inmosthay's Jordans Quarry were the first two to adopt mining techniques rather than the traditional open quarrying methods, which have had such a dramatic impact on the island's landscape. The stone industry has naturally left a number of disused workings too, allowing recent developments such as the Tout Quarry Sculpture Park and Nature Reserve, King Barrow Nature Reserve, and the Broadcroft and Perryfield Butterfly Reserves. All of these sites feature a wide variety of wildlife, some of which are not found on the mainland. 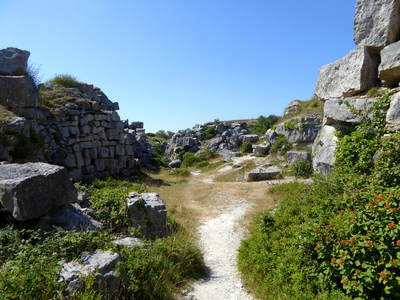 The imaginative development of a sculpture park at Tout Quarry has created a popular attraction, while the Portland Sculpture and Quarry Trust offers popular sculpturing courses. Due to its isolated position on the coast, Portland's rugged coastline has represented a great danger to mariners in the past and present. 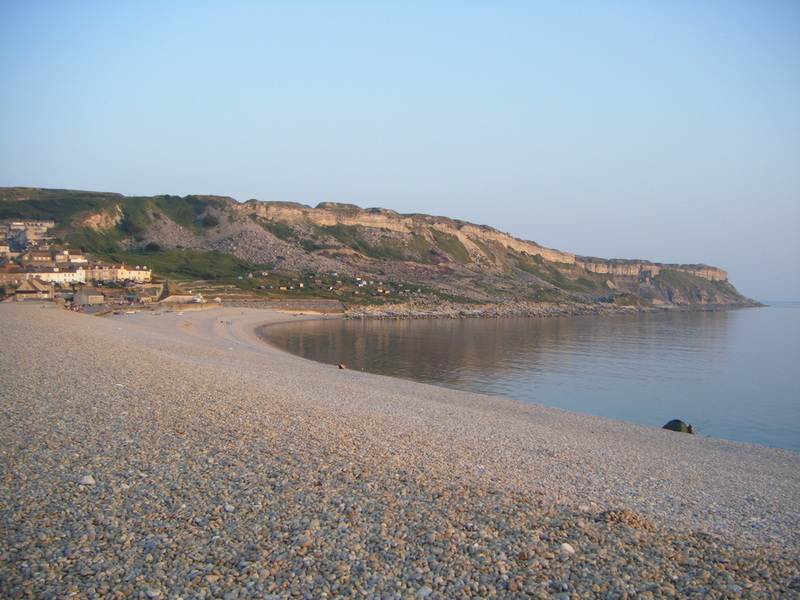 For centuries, the treacherous coastline, Chesil Beach and Portland Bill in particular, have been the location of many shipwrecks. Chesil Beach forms an extended lee shore during south-westerly gales, and it was often the case that a ship attempting to pass Portland would end up being pushed by wind and tide into Lyme Bay and towards the beach. 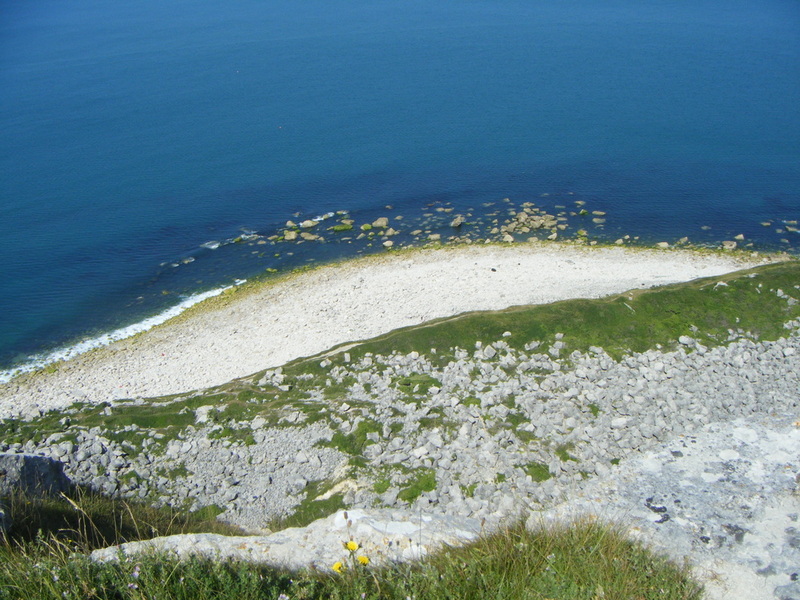 Thomas Hardy described the beach as "Deadman's Bay" in reference to the large number of fatalities that would often result from the ships wrecked there. 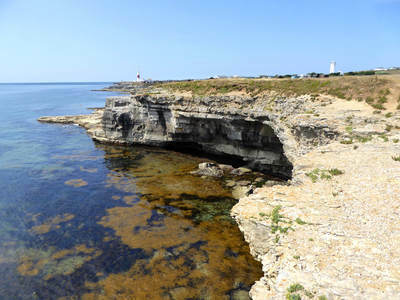 Equally, Portland Bill is notably dangerous because of its shallow reefs and ledges such as the Portland Ledge, the Shambles sandbank to the south-east, and the Portland Race - a tidal race caused by the clashing of tides, and further exacerbated by the reduced depths over the Portland Ledge. Beacons had been lit overlooking the Bill on Branscombe Hill as early as Roman times, in attempt to warn passing ships of the danger, while the Corporation of Trinity House later erected two lighthouses at the Bill in 1716, which operated in tandem. 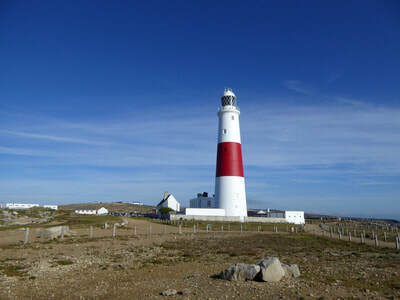 Both the Old Higher and Old Lower Lighthouses operated until 1906, when the new Portland Bill Lighthouse replaced them. Further warning measures came in the form of the Trinity House Obelisk, erected as a daymark in 1844, and the Shambles Lightship, which warned of the dangerous sandbank off the Bill from 1859 to 1976. Portland Bill became a popular tourist destination after the first tarred road was laid in 1922. 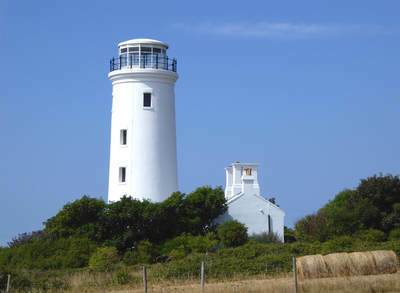 Since then, the Bill and its lighthouses remain a key attraction on the island, as are its coastline features such as Cave Hole and Pulpit Rock. The lighthouse has a visitor centre and is open to the public for guided tours, while the Bill remains an important way-point for coastal traffic passing through the English Channel. 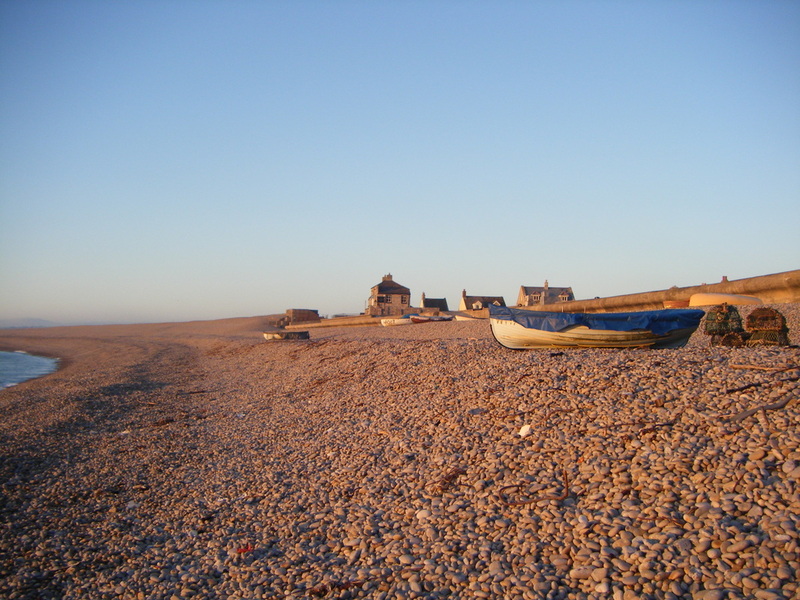 As a traditionally isolated community, Portland's only natural link with the mainland England was Chesil Beach. In place of a bridge, a small ferry was used to make the treacherous crossing over Smallmouth Passage at Ferry Bridge. The first bridge was built there in 1839 and replaced in 1894–96, while the current one was built in 1985. 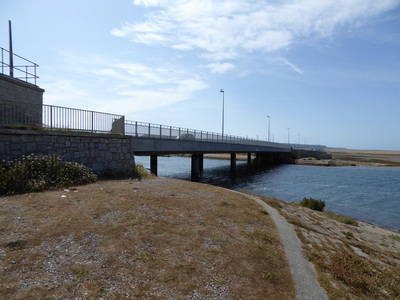 The connecting A354 road has been affected by coastal flooding in the past, and at times of extreme floods, the island can be cut off from the mainland. A railway link to Portland arrived in 1865. For a short line, it had a complex history, built in three separate sections and operated jointly by two rival railway companies. The construction of the line's extension to Easton in the late 19th century needed twelve years of blasting through solid rock and three extensions of Parliamentary time. The original line linked the newly created Victoria Square at the entrance of Underhill to Weymouth. The construction of the extension to Easton began in 1888. 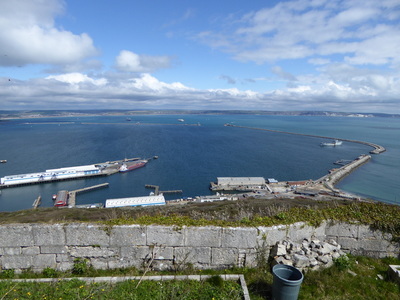 Skirting past Portland Harbour and along the eastern cliffs of the island, the line opened to goods trains in 1900 and passenger trains in 1902. The branch later closed to passenger traffic in 1952 and goods traffic until 1965. Most of the railway, now removed, can be walked between Weymouth and Portland. Portland, and the rest of the south coast, has the sunniest climate and mildest winters in the United Kingdom. Portland's coastal position has resulted in the island becoming home to an extensive range of flora and fauna, as well as rare species of wildlife. 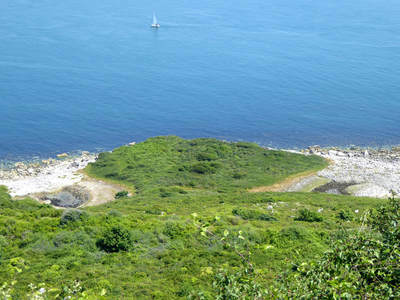 Much of Portland's coastline and disused quarries are designated as Sites of Special Scientific Interest. 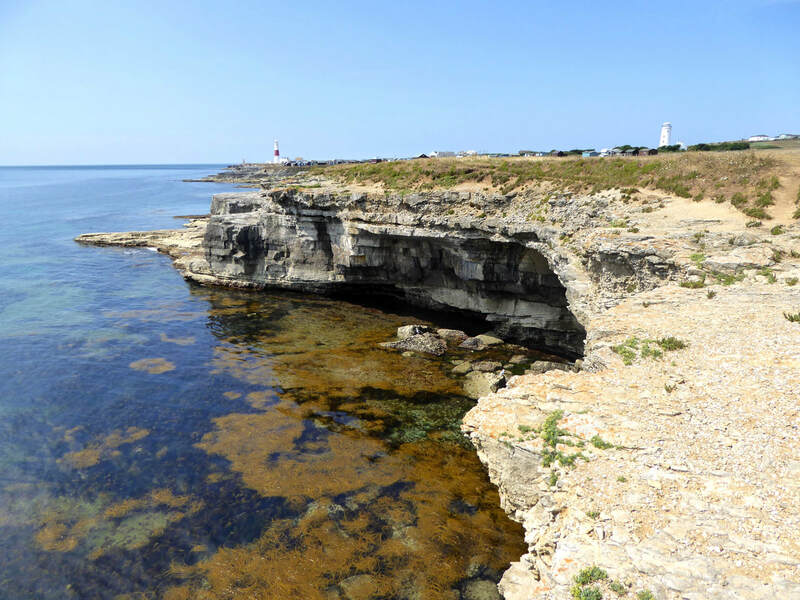 Sea and migratory birds occupy the cliffs in different seasons, sometimes these include rare species which draw ornithologists from around the country. 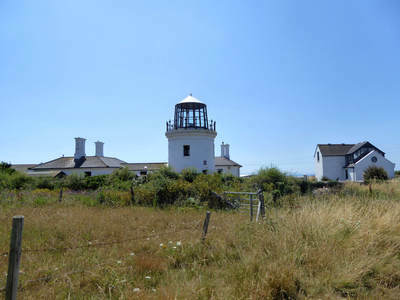 The Old Lower Lighthouse at Portland Bill has been home to the Portland Bird Observatory since 1961. Rare visitors to local waters include dolphins, seals and basking sharks. The comparatively warm and sunny climate allows species of plants to thrive which do not on the mainland. 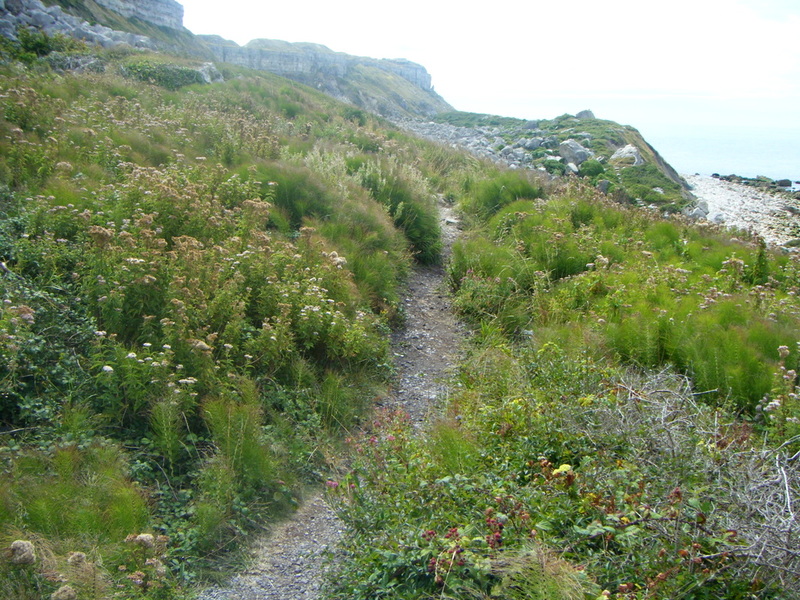 The limestone soil has low nutrient levels; hence smaller species of wild flowers and grasses are able to grow in the absence of larger species. 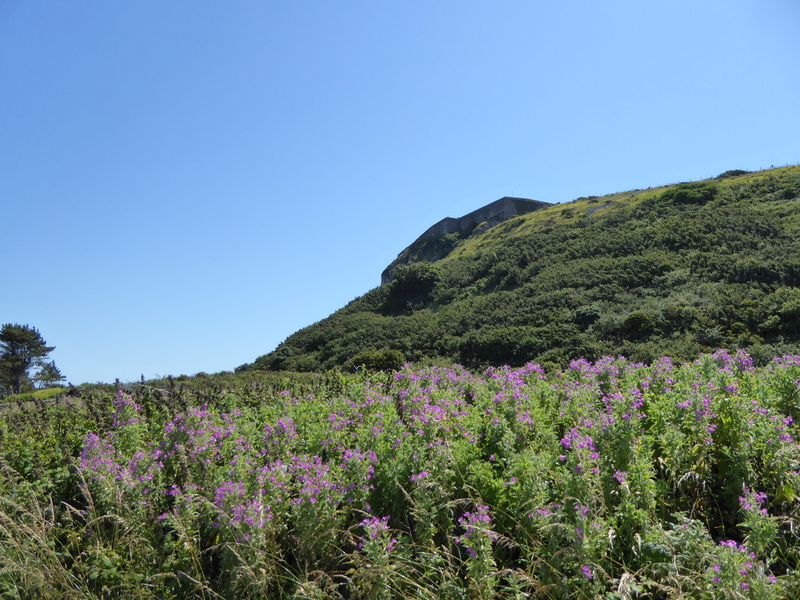 Portland Sea Lavender can be found on the higher sea cliffs, which is unique to Portland and one of the United Kingdom's rarest plants. The wild flowers and plants make an excellent habitat for butterflies; over half of the British Isles' 57 butterfly species can be seen on Portland, including varieties that migrate from mainland Europe. Species live on Portland that are rare in the United Kingdom, including the limestone race of the Silver Studded Blue. Portland's flag was designed by Peter Harvey in 1978. The three colours depicted represent Portland's landscape: Portland stone, grass and the sea. 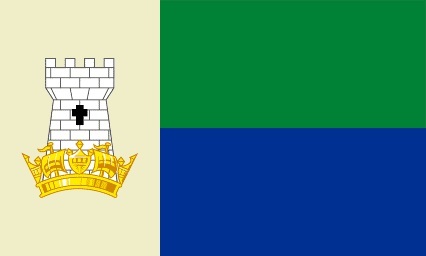 On the left side of the flag, the white tower represents Portland's castles, while the naval coronet in the foreground highlights the island's long connection with the Royal Navy.